Staying at the Napa Valley Marriott hotel, I watched Doc & Darryl. This is the eleventh installment of ESPN's 30 for 30 Volume 3. An episode guide for Vol 3 is here. 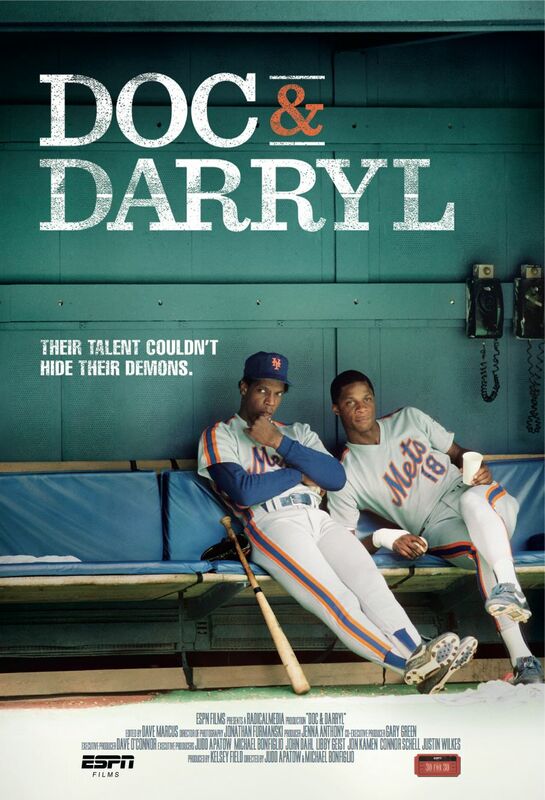 The documentary looks at the intertwined careers of Darryl Strawberry and Dwight Gooden. Starting with each as kids, it follows their meteoric rise with the Mets. Behind Gooden and Strawberry, the Mets beat the Boston Red Sox in the infamous 1986 World Series. Darryl Strawberry played 17 seasons with the Mets, Yankees, Dodgers and Giants. He was rookie of the year in 1983 and an eight time All-Star. Dwight Gooden played 16 seasons with Mets, Yankees, Indians, DevilRays and Astros. He was rookie of the year in 1984 and an four time All-Star. Although they won a World Series and had fairly long careers, their lives were a mess. The amount of alcohol, recreational drugs and performance enhancing drugs involved is unbelieveable. Both men served time in prison. Combined with Strawberry's two bouts with colon cancer, it is amazing that either of them is alive. While Strawberry seems to have stabilized his life, Gooden looks and sounds like a serious drug addict. I think that Doc & Darryl may have been one of the hardest of the 30 for 30 documentaries to watch. It is so depressing that I don't know that I can recommend it.